Ruth Schwenk is the founder of The Better Mom, and along with her husband, the creator of For the Family. She is a pastor’s wife, mom of four energetic kids, a lover of coffee, and dreamer of big dreams. She loves leading, speaking, and blogging. Ruth is the co-author of Hoodwinked: Ten Myths Moms Believe and Why We All Need to Knock It Off and Pressing Pause: 100 Quiet Moments for Moms to Meet With Jesus. A graduate of The Moody Bible Institute, Ruth and her husband have been in full-time church ministry for over fifteen years. Kristen is a Northwest native who grew up surrounded by family, books, alpine peaks and lots of green. 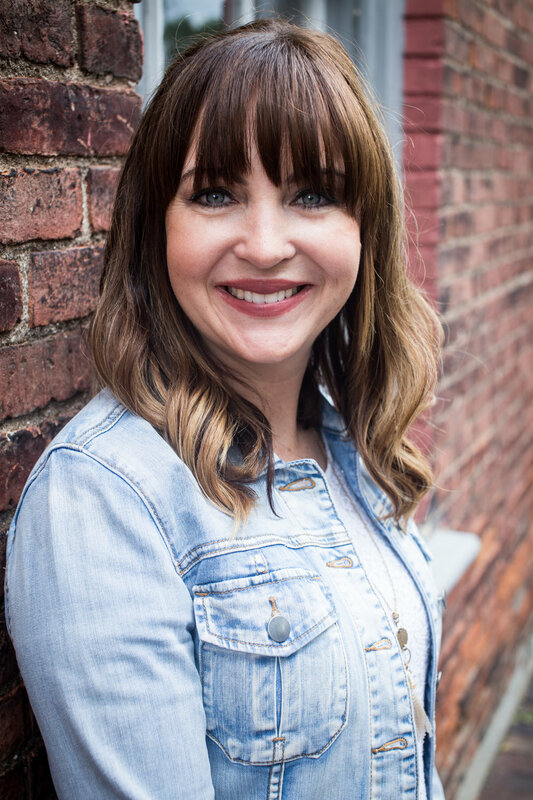 She writes about living with intention as a wife and mother of four in the midst of a city that makes her heart beat just a little bit faster every time she walks outside at Hope With Feathers. Kristen has a background in Early Childhood Education, spent years as a missionary in Asia and Europe, and now relishes in her role working with writers as the Editor of The Better Mom. You can also find her musing on Twitter at @KristenKill. Kim Stewart is a virtual assistant who is passionate about helping bloggers and authors share their God-given messages. She’s most likely found behind the keyboard putting her gifts and strengths of Administration, Service and Strategic Thinking to use for His glory. Kim lives in Texas with her husband of 22 years and their two sons. She loves reading, indulging on coffee & caramel, and binge-watching on Netflix. Kelly loves the Lord, her family, and sharing her passion for real food cooking and meal planning with others. She is a full-time homemaker who loves spending time with her awesome hubby and two sweet boys. Kelly's real food journey began four years ago when she was diagnosed with a chronic auto-immune disorder. Since then, the Lord has blessed her with an amazing recovery - a testament to His grace and the health benefits of eating real food. Kelly shares her knowledge and love for whole food cooking at The Nourishing Home and on Facebook. Christin is the wife of 17+ years to her high school sweetheart, Jonathan, and mother to seven children. She sees beauty in the simple things and appreciates a good cup of coffee. She is learning to live every day with joy, find gratitude in the mundane, and speak words of grace. You can find Christin writing through her days on her blog, encouraging wives and mothers and hanging out on Instagram. Karen Ehman is a New York Times bestselling author, Proverbs 31 Ministries speaker, and writer for Encouragement for Today an online devotional that reaches over 1 million women daily. She has authored ten books including KEEP IT SHUT: What to Say, How to Say It and When to Say Nothing at All. Her newest book and DVD Bible, Listen, Love, Repeat: Other-Centered Living in a Self-Centered World, is full of ideas for scattering kindness to family, friends, strangers, and the "necessary people" who help you get life done each week. Karen has been married for over a quarter-century to her college sweetheart Todd and is the mom of three children ranging from teen to adult. You can connect with her at karenehman.com.